A variety of resources to help you learn about your investments. 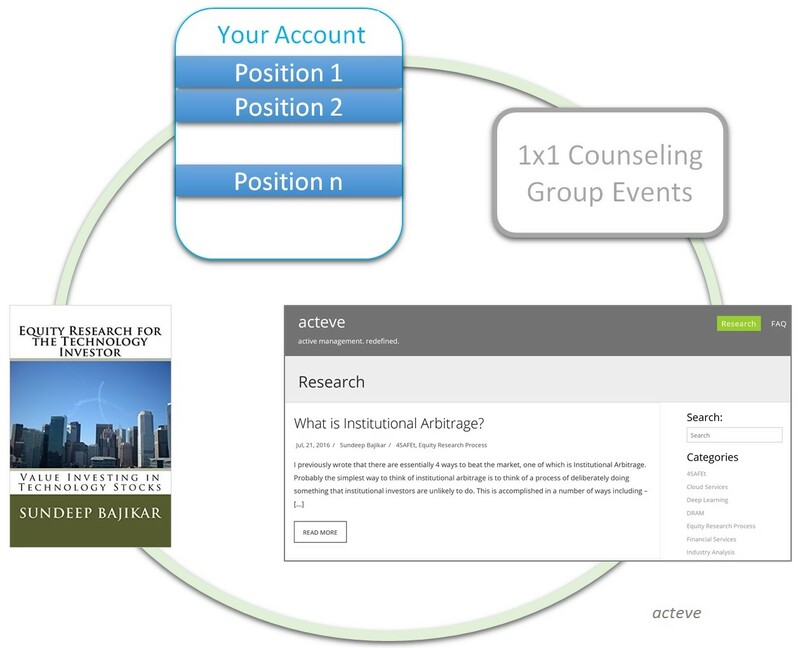 Our acteve Model Portfolio advisory relationship with you includes a copy of Sundeep's Book, which when combined with acteve Research, 1x1 & group discussions and on-demand access to your account, should promote continuous learning. >> What is Institutional Arbitrage?